- 6 Checkers Piece Sets and 7 Boards! Checkers (AKA Draughts) is one of the world's most popular board games. The earliest records of this game date back to the Egyptians 3500 years ago. In more recent times this has been most favoured by the USA and Scotland, the two countries to provide the most World champions in this game. In England and Scotland this classic board game is known as English Draughts. This implementation has been designed to provide a strong engine, even if only running on a mobile phone. 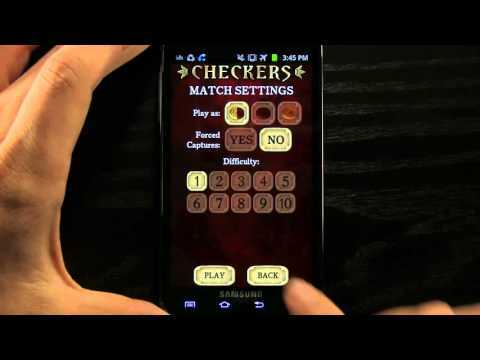 Unlike many commercial Checkers programs, it correctly plays the common 2K v K, essential for quality checkers/draughts play.